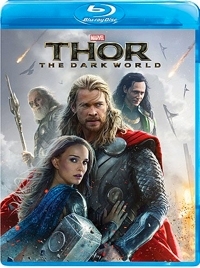 Thor: The Dark World is rated PG-13 for “sequences of intense sci-fi action and violence and some suggestive content.” I don’t know what suggestive content they’re suggesting, but this 2013 sequel is definitely more violent than the first Thor. Main characters die and there are plenty of first-act hack-and-slash battle sequences similar to ones from the Lord of the Rings trilogy, while spaceship battle action will remind you a bit of those in Star Wars: Episode I. Which is to say, Thor: The Dark World seems to owe a substantial debt for its production design, art direction, set decoration, costume design, and battle sequences and effects to those two fantasy franchises. Many people point to Sleeping Beauty (1959) as the last film in the Golden Age of Disney Animation and consider the seven full-length animated features that the House of Mouse made over the next three decades to be lesser accomplishments. But I think you can build a pretty good case for The Jungle Book and 101 Dalmatians rising to the top of that second tier of Disney animated films. Both were directed by Wolfgang Reitherman, one of Disney’s Nine Old Men—the original animators who were with Disney from the very beginning—and film each has its positives. With 101 Dalmatians it was a terrific villain, 101 dogs, and an exciting narrative. 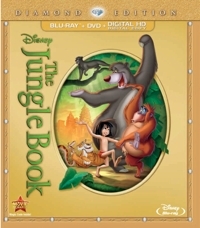 With The Jungle Book it’s the great songbook, characters, and voice talents that elevate it above some of the other films made during this period.